Bombardier is an iconic real beer loaded with distinct English brilliance. It's the epitome of impeccable taste and great character. The rich, full-bodied nectar is a lingering reward - English, ever reliable and damned tasty! Our Master Brewers have poured the company's 139 year heritage into crafting a new lager, using its founder's roots travelling the world in the Merchant Navy as inspiration. 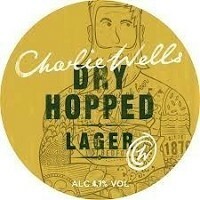 Charlie Wells Dry Hopped Lager is brewed with natural mineral water from a well sunk by Charles Wells himself in the early 1900s and the brewers combine several varieties of hops from around the world to create the beer's slight bitterness, hoppy aroma and subtle maltiness with a deliciously smooth finish. Brewed in true continental style, we use 100% malt in the mash and add in Target hops followed by a late addition of Styrian Goldings to add that really noble hop aroma. We ferment the beer cool with lager yeast for seven days, and what makes this beer really special is a two week cold conditioning stage with Australian Galaxy and Ella hops which brings out all that depth of flavour and dry hop character. Slight bitterness, hoppy aroma and subtle maltiness with a deliciously smooth finish. Water is the most important ingredient in beer - and Wells Eagle has an enviable advantage over other beers because it is brewed with pure, natural mineral water from the brewery's very own well. 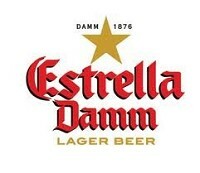 Estrella Damm is the stylish, trendy, vibrant and passionate beer for the people that want to enjoy the taste of Barcelona… it’s night-life, sunshine, fun, culture and sports. Don't be fooled: not all beers are created equal! Young's Bitter sets the standard. We call it “natural brewing excellence” promoted through our advertising campaign. Young's is brewed with passion and that passion is fundamental to the ingredients we use.